Today the U.S. Army celebrates its 238th birthday. Looking back, its growth into comfortable old age seems inevitable but in its youth that outcome was far from certain. In 1783 on the Ides of March, the inseparable fates of our Army and Republic were very much in doubt; disgruntled officers of the fledgling Army were gathered in a secret meeting in Newburgh, New York to discuss insurrection. Concerned that a broke, unpredictable Congress might end financial support to the effort and fail on debt to the officers, a gang of leaders gathered to discuss their options. If not for the courageous intervention of George Washington, the dream of independence could have ended that night. The humble acclamation of personal sacrifice turned the tide of the meeting, the war, and the course of history. Washington finished the letter through thick lenses and quietly walked out of the church assured that he had held the Army together. Washington did what many leaders will not—he personally addressed the elephant in the room. He knew that circumstance called for action that only he could take and he took it. He accepted responsibility for the issue at hand and restored order in the Army. 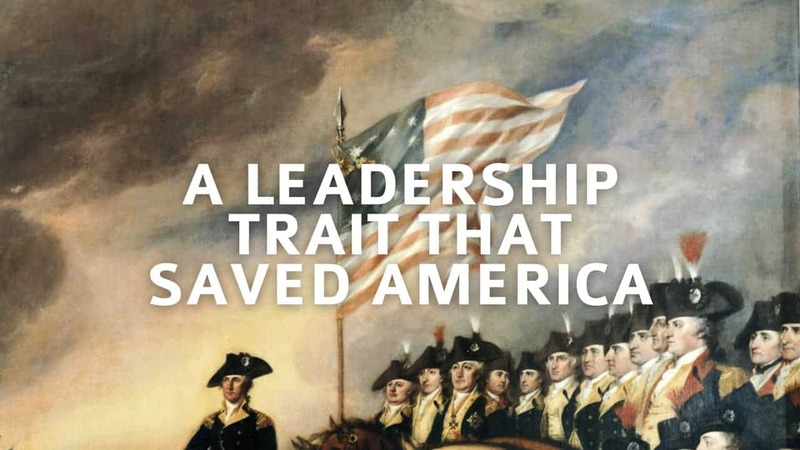 In the end, it was Washington’s presence and very human example rather than his argument that saved the day. It’s been said, that, “People don’t care what you know until they know you care.” George Washington traveled to Newburgh to prove he cared and by doing so breathed new life into an Army and resurrected a Republic. Contrary to popular belief leaders are human and sometimes our troops need to see the human side. In fact, it is almost, if not more important, than showing them our “war” face.